"Invalid Data Source C:\Users\.........\KORT10.dsf is not a valid or recognized data source". I have heard some talk about it being Shapefiles or something like that, but as mentioned this is the very first time using QGIS and GIS in general. I have uploaded the file from the municipality if what I have just described made absolutely no sense but somebody has an interest in helping me. The CRS system used is "EPSG2583/ETRS89"
I hope somebody has the time and knowledge to help me. Nice download, 80Mb zipfile, but anyway. Some gXXgling reveals that your .dsf files represent an example for the 'Danish National Format' dsfl, wich is a text format, but not xml. Unfortunatly I think that this is one of the few formats not directly readably with qgis, or gdal, rsp. 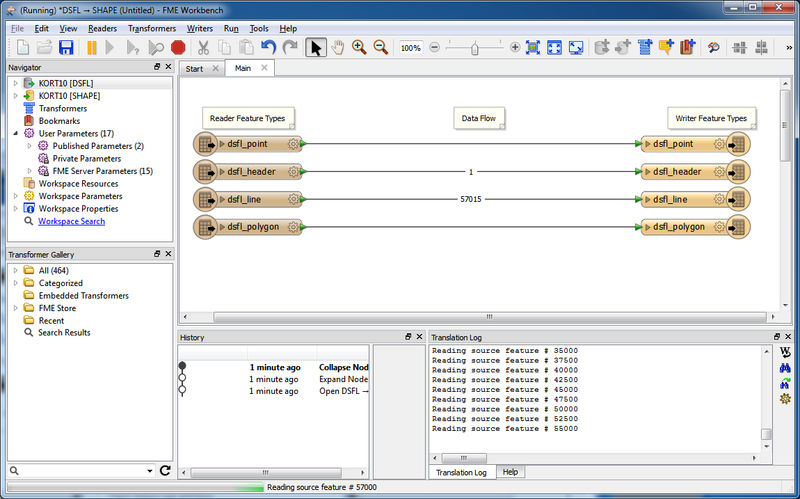 I succeeded in opening your files (KORT10) with FME (https://www.safe.com/fme/format-search/danish-dsfl/index.php), where a dsf reader/writer is implemented (cp. screenshots below). 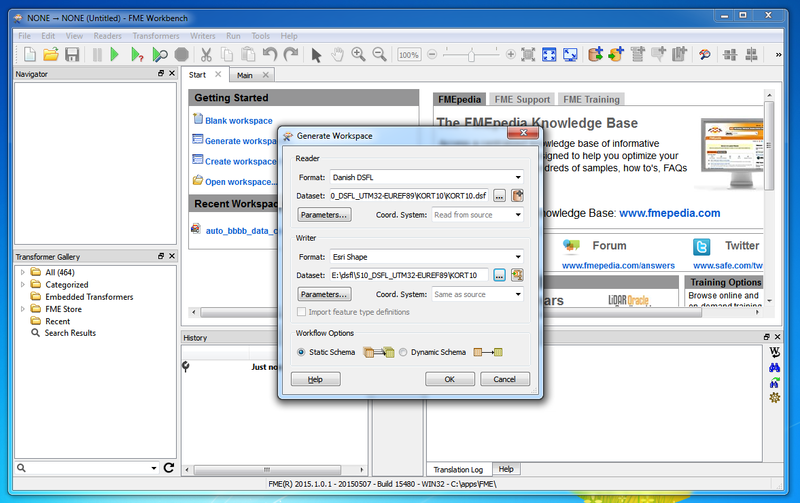 With FME you can convert these files in any format you need. 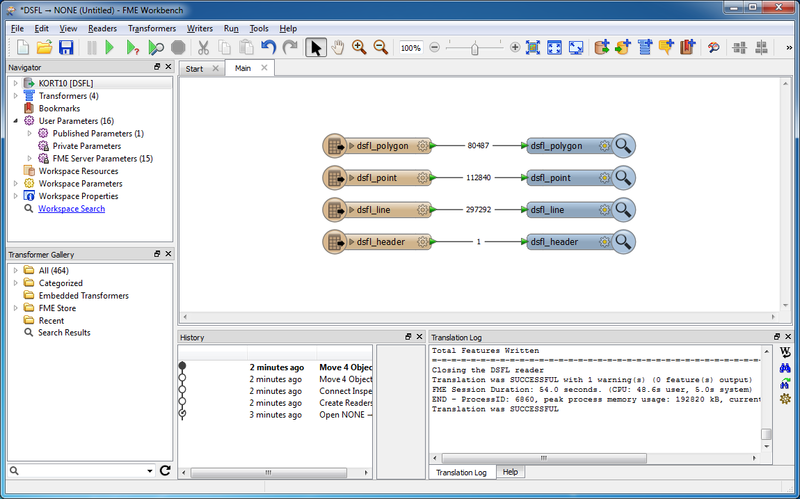 Since this is a commercial tool, you either know someone with an ASP license, who can convert these files for you, or you get a FME trial version from https://www.safe.com/fme/fme-desktop/trial-download/. If you need help with the conversion, don't hesitate to ask. Not come across this format before. It seems to be either a Vector drawing format or a 3D mesh format used in X-Plane (a flight sim). It might be worth looking at OpenGeoXPlane if it's the latter, they have various tools on there which might be able to help. Instead of choosing a whole municipality you can "Tegn et område" (draw an area) and woopti you can choose other data formats including .shp. I have no idea why it is like this. The really easy way of doing it is just to choose to download a region or the entire country. Then you'll get in either ESRI Shape or MapInfo format, it's apparently only the municipalities that comes in DSFL. The ESRI and MapInfo files are also newer than the DSFL. Not the answer you're looking for? 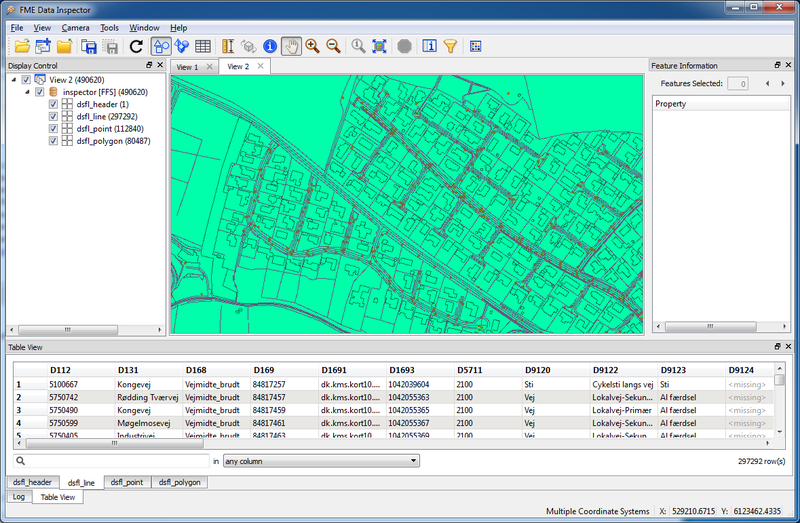 Browse other questions tagged qgis dsfl or ask your own question. Adding raster created in GRASS (within QGIS) back into to GRASS (within QGIS)? Aligning raster data to vector data in QGIS? How to digitize a “ringed” topographic-style choropleth map?